My Area rug is stained, what can I do to clean it? There are many different ways one can clean Area rugs. First, to maintain a general sense of cleanliness on area rugs, one should constantly be vacuuming to get rid of all sorts of dirt (including oil, residue and just general foot traffic). One should be careful when trying to remove stains from area rugs with looped textures as the loops could be damaged so it is advisable to avoid using the beater bar. In general, vacuuming does successfully remove most stains. For hard to remove stains there are some steps one could take. First, as soon as one spots a stain, they should try dealing with it immediately. Try to pick up as much of the spill as possible with a white cloth or paper towel; but in doing this, try to avoid scrubbing the area as this can cause matting and/or fuzzing. In all cases of stains on area rugs, since they use different fibers, it is essential to check the type of fiber in your specific rug before selecting a cleaning product and method. 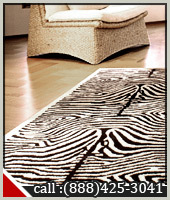 Most area rugs use synthetic fibers such as polypropylene, nylon and acrylic. These can utilize general cleaning methods. This requires a check of the manufacturer's instructions, following any directions for dilution and application. If you encounter any stains that are already dry, the first thing you should do is try vacuuming them and following that, try the cleaning method. Sometimes it is advisable to use a preconditioning solution before cleaning, as this will help loosen any soiled areas. Laundry detergent, automatic dishwasher detergent, or any strong household cleaning products intended for use on woodwork, linoleum, laminate or tile should be avoided at all times. For more information about cleaning your rug call Phoenix Carpet Cleaning at 602-412-3961.